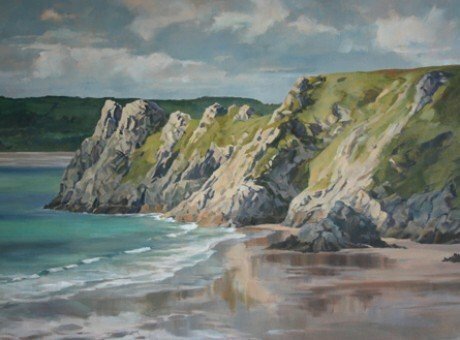 Situated a short walk from picturesque Three Cliffs Bay and close to Pennard Golf Club, North Wind is the exclusive studio and exhibition space of Rowan Huntley, a professional artist for 25 years. 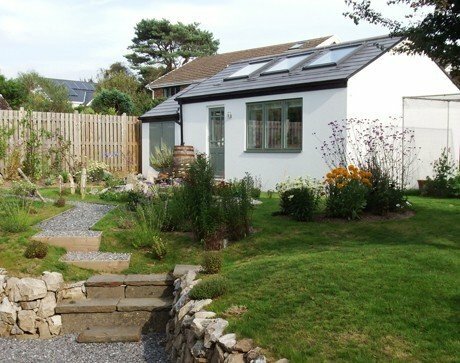 Set in a pretty garden in the quiet village of Pennard, this delightful working studio is ideally positioned to be enjoyed in conjunction with bracing walks along Pennard Cliffs, a round of golf or coffee and cake at Three Cliffs Coffee Shop. 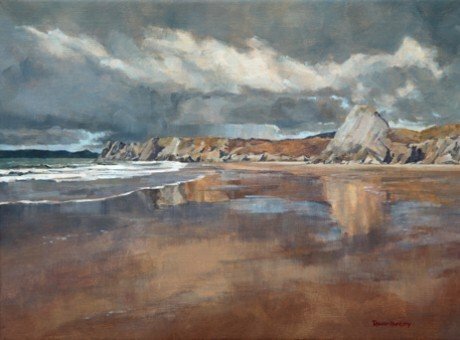 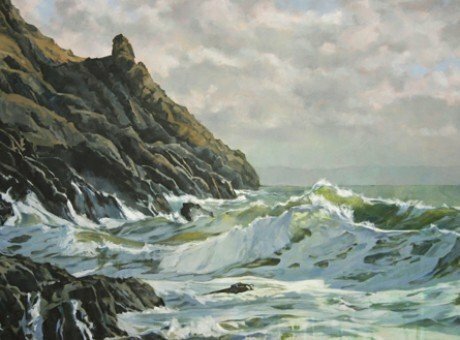 Rowan’s inspiration, which comes entirely from the natural environment, is apparent in her paintings of Gower’s vast sandy beaches, stormy seas and craggy coastline. Her representational paintings portray both fragile and rugged terrain, evocative skies and the beautiful, transient play of light and shadow on the landscape. Also on display are studies and paintings of snowy mountains and glaciers from travels to the Alps, Greenland and Antarctica. 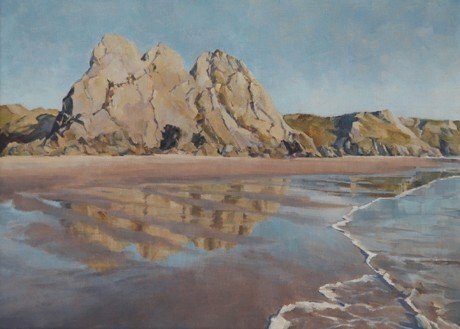 Rowan is an Alpine Club Associate and was the first person to be awarded an Artists Residency by the Friends of Scott Polar Research Institute in conjunction with the Royal Navy. This placement in 2010 involved a month long voyage onboard Survey Vessel HMS Scott, on its first deployment to Antarctic waters. 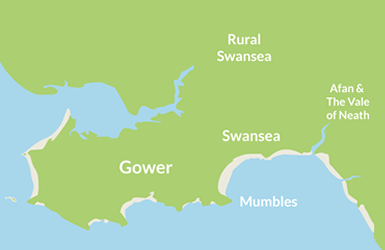 HMS Scott, coincidentally, is affiliated with Swansea and welcomed Rowan back onboard during her last visit to the King’s Dock here in May 2013. 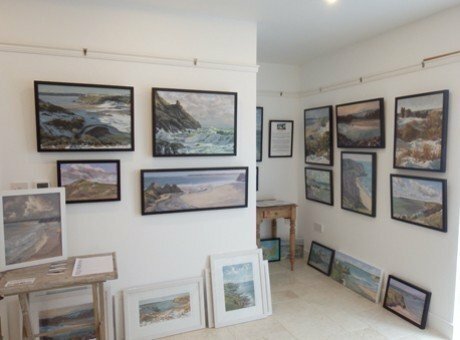 North Wind is open by prior arrangement only, as it is a working studio, however visits can be arranged for any day of the week between 10am & 7pm.